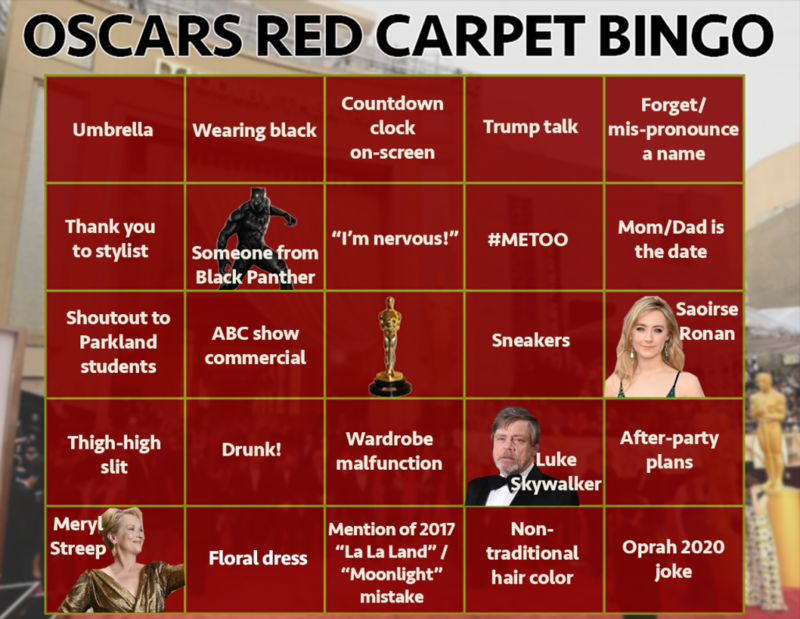 So if you’re watching the red carpet this year, it will be interesting to see how film industry handles all that scrutiny on its biggest night. 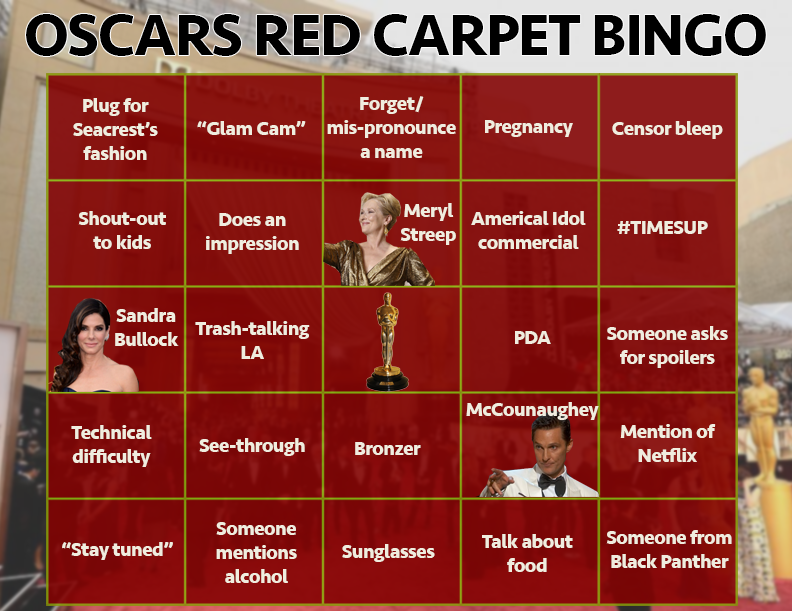 Keeping with PorchDrinking’s tradition, we’re bringing you Bingo cards to play along at home. 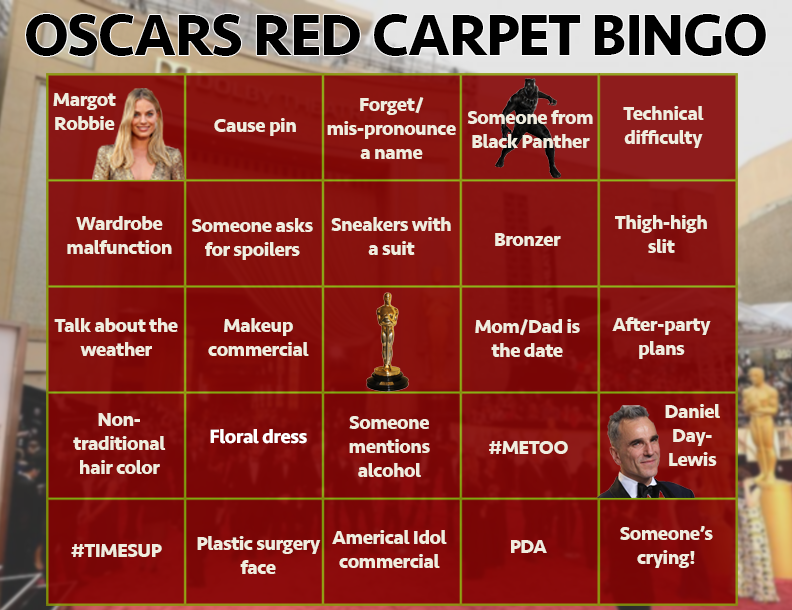 Print them out, pass them around your Oscars party, and try to forget that even escapist entertainment is now a source of soul-crushing news lately! 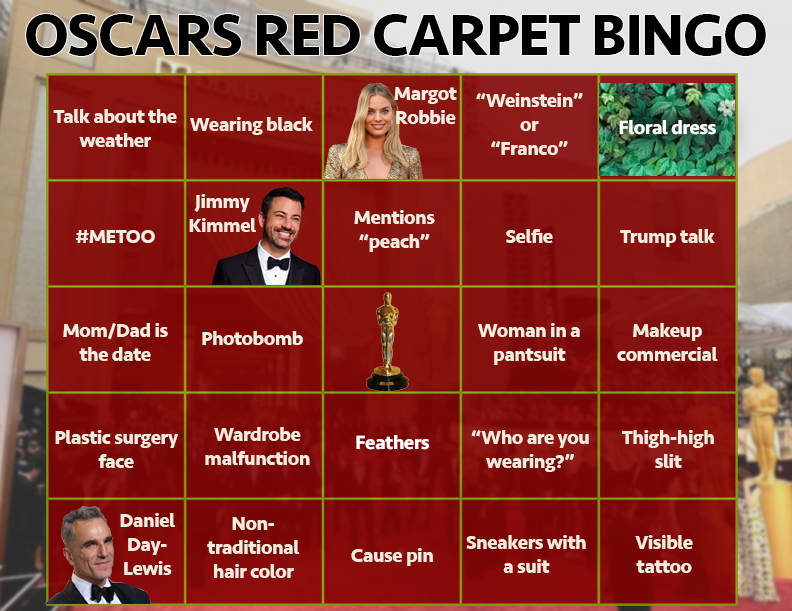 There’s some of the usual squares – be on the lookout for a Glam Cam bit, conversations about after-party plans, and red carpet hosts wearing way too much bronzer. 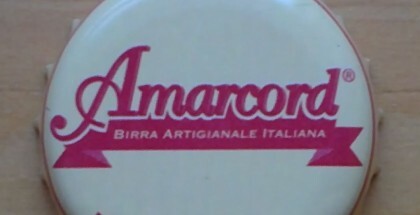 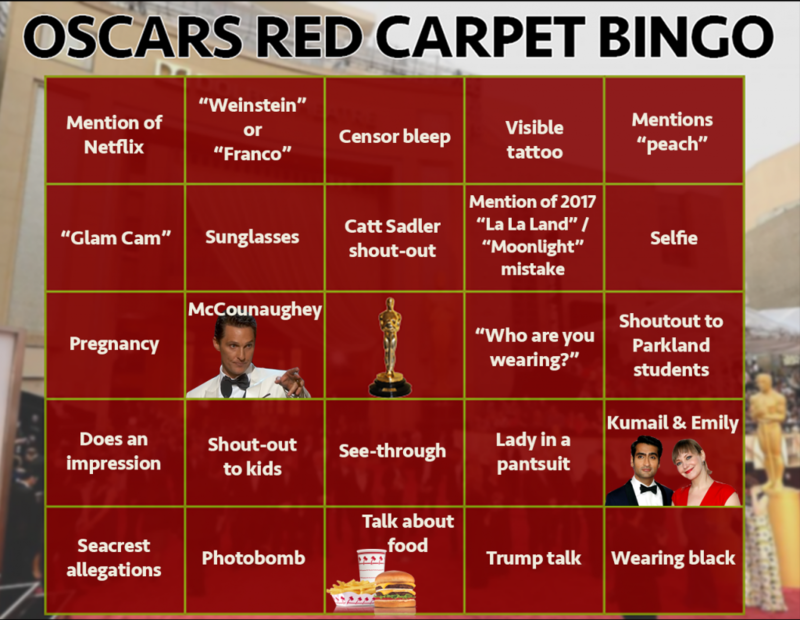 There’s also a bit to watch for this year as current events pop up in the three hours of interviews and commentary. 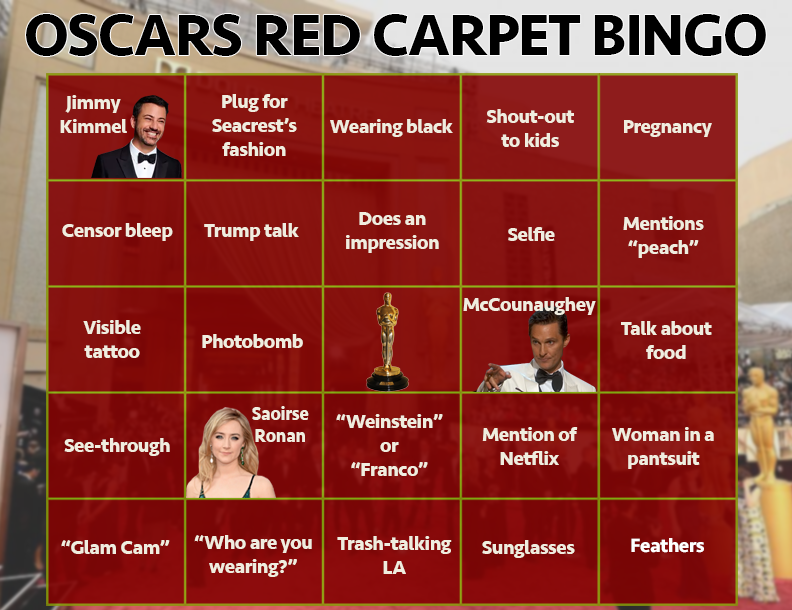 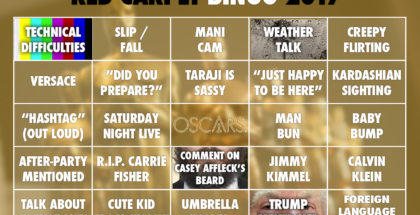 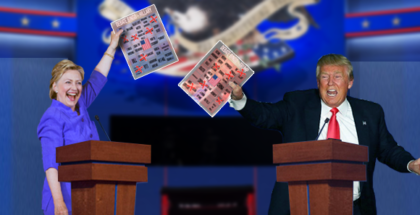 Enjoy the Oscars, and may the best Bingo card win!